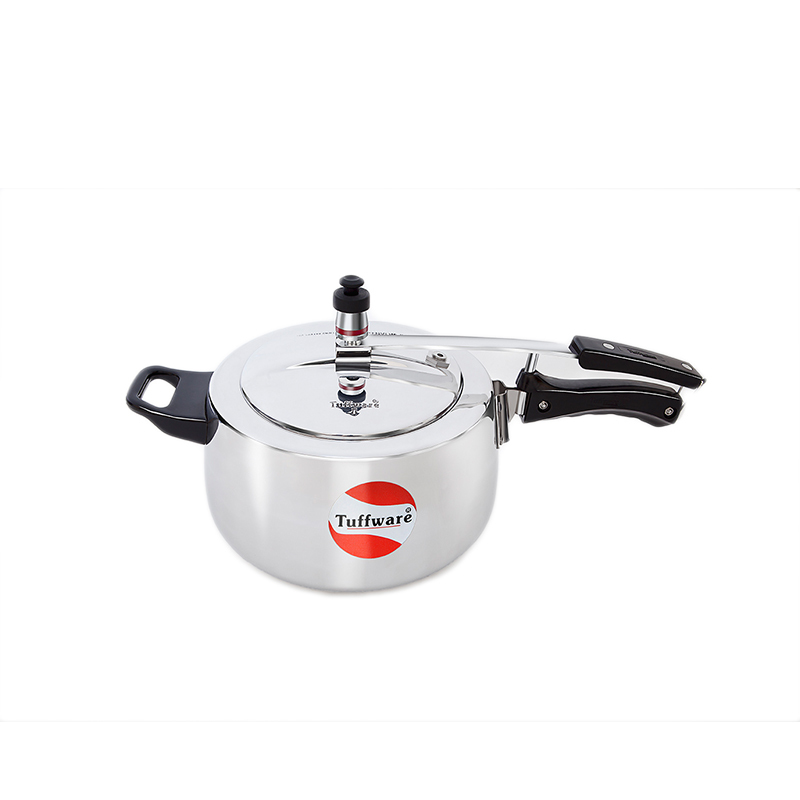 Aluminum Pressure Cooker is a new age Cooker which enables you to cook delicious dishes in a smart way at the highest level of safety through its Pressure Indicator which rises above the lid under pressure and drops when the pressure inside tails to zero, giving a visible indication to safely open the cooker. 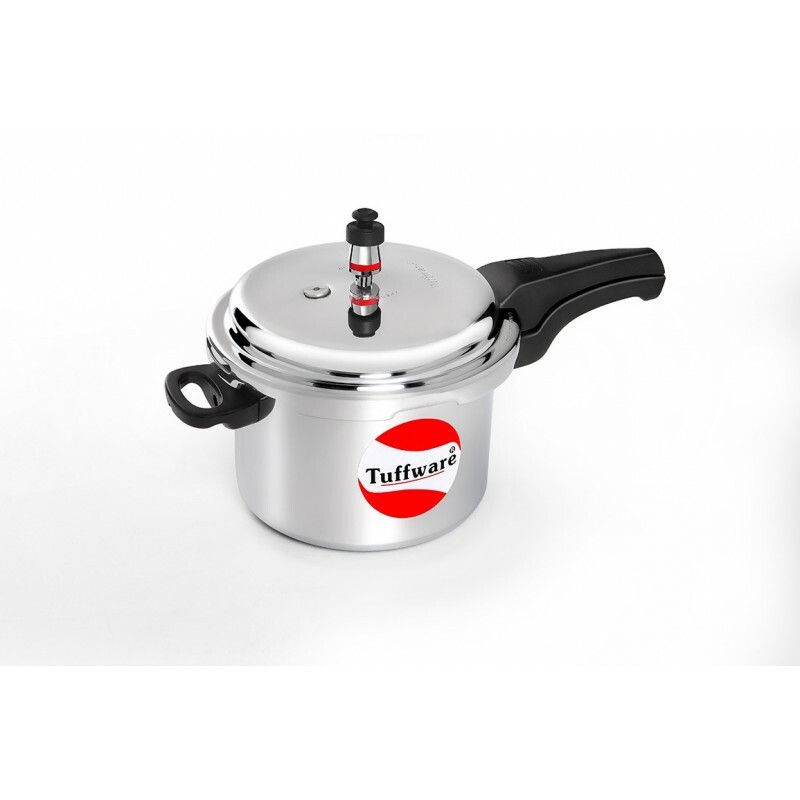 The Tuffware pressure Cooker is aesthetically designed with the Outer Lid model to ensure more space & better steaming function inside the vessel to give you the flavor of traditional cooking. 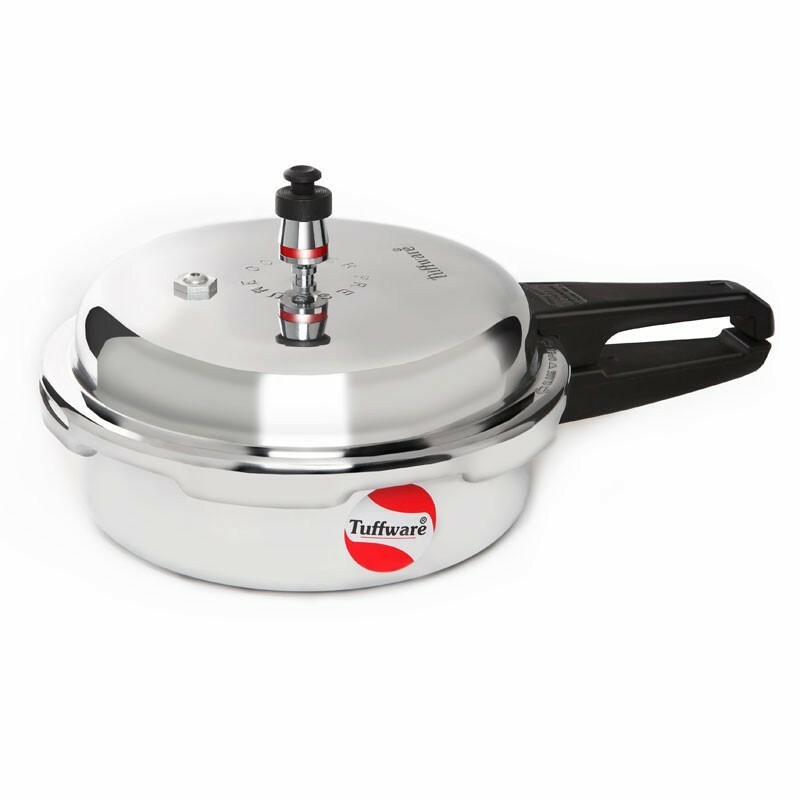 This is one of the Tuffware pressure cookers with outer lid lets you prepare delicious dishes in a smart way. The pressure indicator rises above the lid under pressure and drops when the pressure inside tails to zero. This new age range of pressure cookers ensures zero contamination. The ergonomically designed stay cool handle offers a comfortable grip. In addition, this outer lid pressure cookeroffers more space for better steaming function apart from facilitating easy opening and closing. 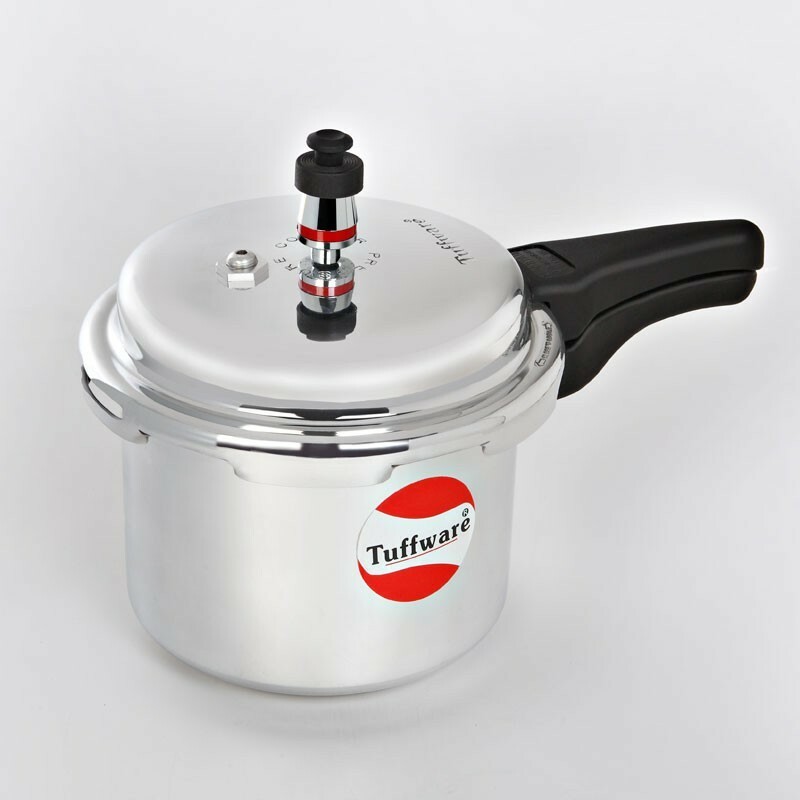 Featuring an impressive finish, Tuffware pressure cooker is a pleasure to work with. 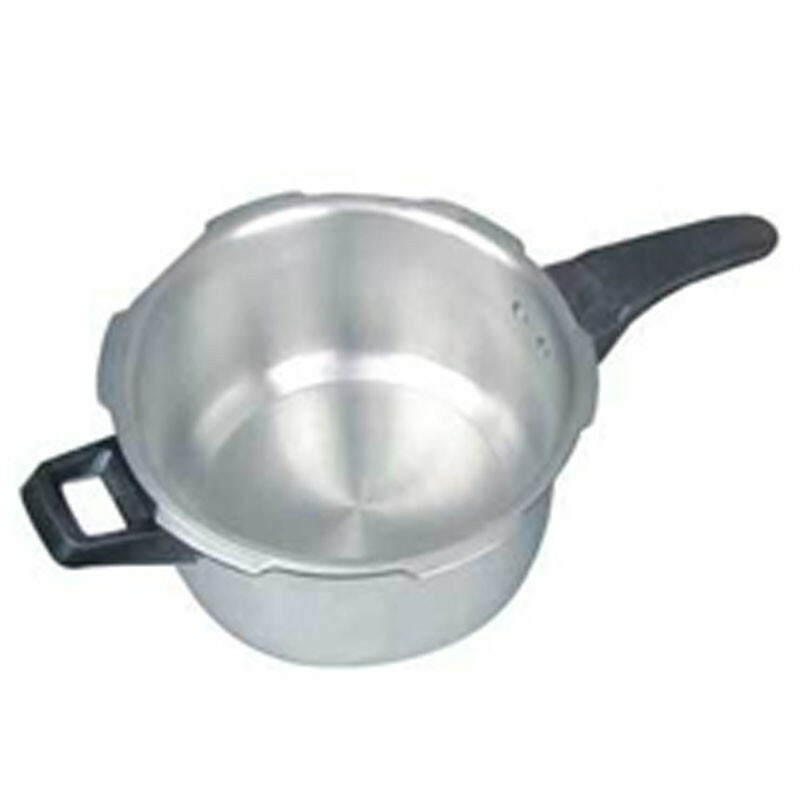 Learn more about the care and cleaning tips of pressure cooking with Tuffware.